Check out Tobi's End Game Double Buckle Belt There's no competition with the End Game Double Buckle Belt! 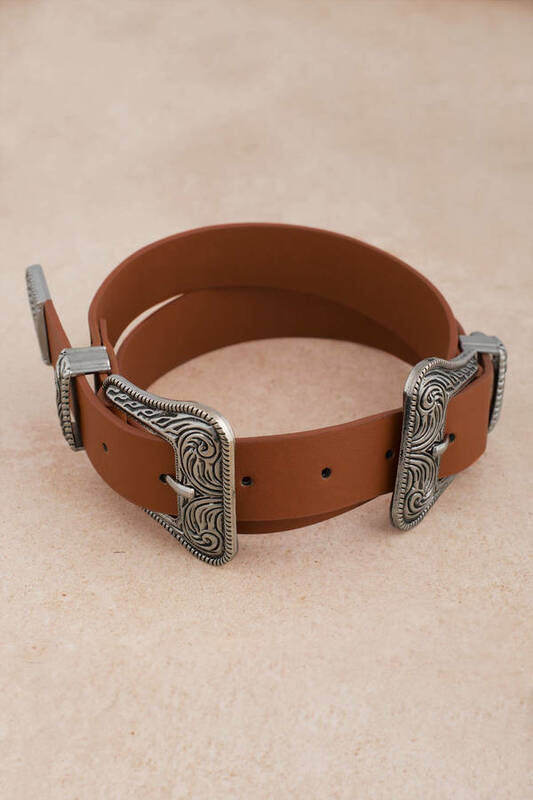 Featuring two western-style buckles and six hole adjustments on a soft, faux leather. There's no competition with the End Game Double Buckle Belt! 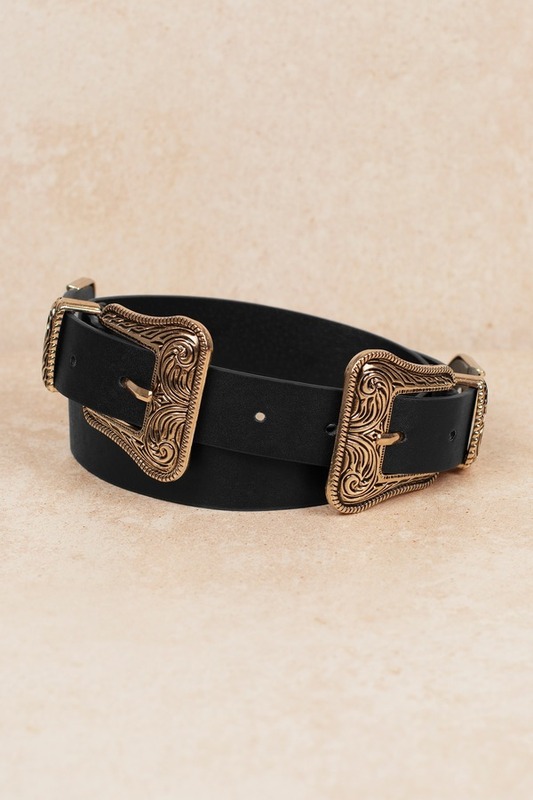 Featuring two western-style buckles and six hole adjustments on a soft, faux leather.